The SCTAA met on February 24, 2014 with 33 in attendance including visitors: Joe Boch, Rich Revenson and Clark Smith. We added two returning members. We have 35 paid members. During the program time, Randy Gatchell presented more information and a display about his upcoming hunt in Blacksburg. He also shared about Cowpens Mining Co. which is minting their own hand made coins since 2010. Haskell Staton, President of the Blue Ridge Club of Hendersonville, NC, shared news from their club and invited our members to join them for a group hunt at Myrtle Beach on May 16-18 and their fall hunt on September 20 (entry fee for non-members is $75). January treasury ended with a balance of $469.83. We paid out to Kenny Brackett (for raffle prizes and birthday halves) $25. We collected: 2014 Memberships - $50; scavenger hunt entries - $15; Money Donations for Points/Raffle - $121; donation can - $13.50. The amended closing balance is $644.33. 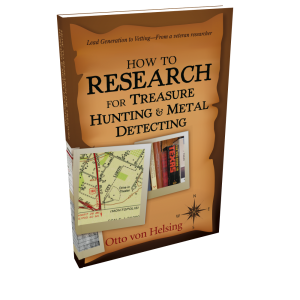 We are a metal detecting club of about forty members. We meet at 7:15 pm once a month on the fourth Monday night at the Greer Recreation Center in Greer, S.C. We meet each month except December and we have members from the upstate and from North Carolina. If anyone is interested in joining or more information call Kenny Brackett at 864-796-8776 or email.